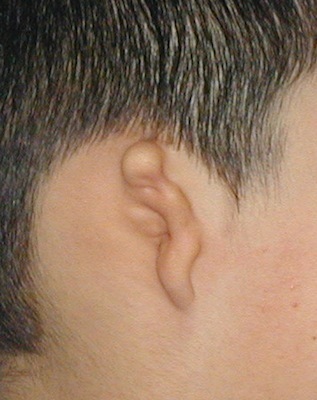 Microtia is the condition in which the external part of the ear also known as pinna is underdeveloped. Microtia needs to be differentiated from the anotia as in the later one there is completely undeveloped pinna of the ear. Microtia can clinically diagnosed in the new born children once they take birth. Therefore, it is better to get the condition of the microtia treated properly at the right point of time. The treatment of the microtia starts with the hearing tests which is done within 2 weeks after the symptoms of the disorder is seen in the patients. The hearing test known as Brain Stem Auditory Response Test which is popularly called as BAER test is done in the children to ensure the proper progression of the treatment plan in several types of patients. The hearing abilities of the patients are dealt properly by the patients to ensure that the patients can improve on a gradual scale and therefore finally can hear properly. In these kind of patients, after few stages the patients are motivated to get speech therapies done for themselves so that they can speak with confidence. Also, these therapies ensure that there is a co-ordination of the hearing and the speech abilities of the patients who have thesis disorder and are getting the treatments done for themselves. Along with the functioning of the ear, the aesthetics of the external ear are also taken into proper consideration during the treatment procedure of the patients. Auricular reconstruction is of the main focus which ensures that the aesthetics of the patients is given the main priority in the patients. Rib cartilage graft reconstruction is one of the most common and recommended treatment for auricular reconstruction in case of microtia. This can be done in the patients when they come into the age group of 8-10 years. The cartilage from the ribs is given the shape of the external ear of the child patient and it then grows along with the patient at the location of the external ear. Also, it ensures that the patient can heal properly at the particular location without facing any kind of the reactions or side effects of the reconstruction surgery. Polyethylene plastic implants are done by the specialists in the patients at the early age of 3. The framework used in this type of reconstruction procedure is porous in nature and therefore is adapts well with the patient. It is preferred that the only the experts and specialists of these procedures perform these procedures successfully. Ear prosthesis is one of the most appreciated types of reconstructed procedures in the recent times. The best part is that you wont be able to determine the type of the prosthesis as it is absolutely natural to see that hardly anyone can find the difference between the prosthesis and natural ears. Thus, microtia can be successfully treated in every type of patients. It is always better to start the treatments for this disorder at an early stage without delaying the time period of the treatment.